Lemberg, 1855. 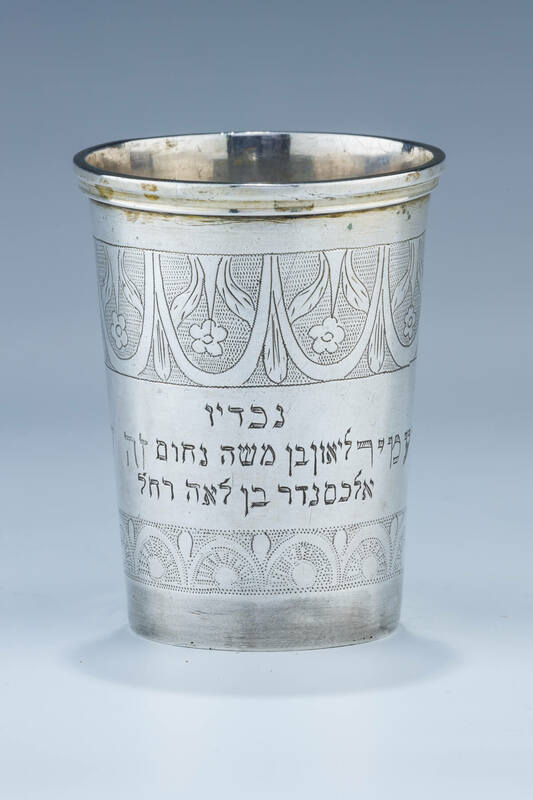 Engraved in Hebrew: “A PERMANENT GIFT TO MY SON MOSHE NACHUM”, “THIS BELONGS TO THE NAGGID RABBI JOSEPH KRAMER”, “LEON SON OF MOSHE NACHUM, ALEXANDER SON OF LEAH RACHEL”. 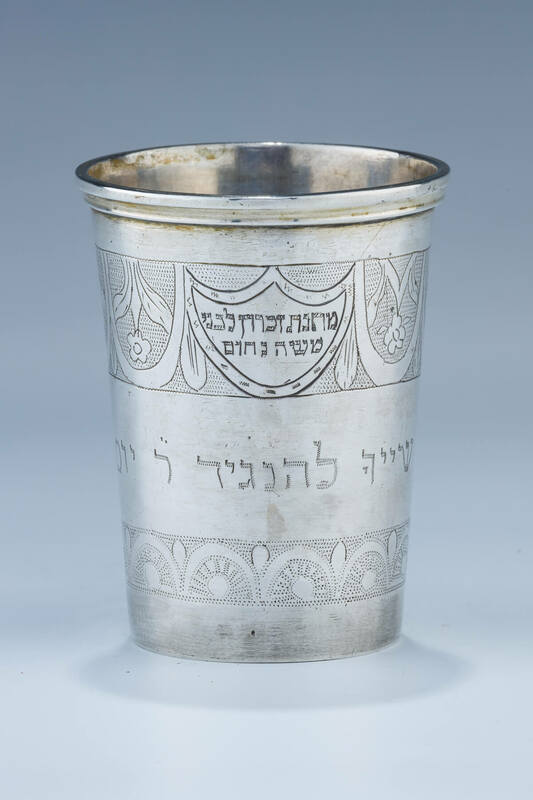 Of exceptionally heavy gauge silver. 2.9” tall.